Finally—a financial planning book that presents concepts in an easy-to-understand format. Do you know if you have enough? Do you know how much is enough? If you can’t answer these questions, The New Master Your Money is for you. 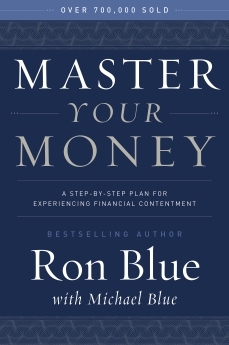 Ron Blue extracts principles from God’s Word and applies them to your financial portfolio. Ron’s professional experience in financial planning will be an asset to you and to your family for generations to come. This new edition includes important updates and new content you won’t want to miss.